LAPORTE, Ind. -- Authorities say a suspect has been charged with murder in an investigation that began after a man's body was found concealed in a sewer line in a northern Indiana wildlife area. The LaPorte County Sheriff's Office said Tuesday that Scott Irvin was charged in Elkhart County, Indiana. It was not immediately clear if Irvin is represented by an attorney who could speak on his behalf. A utility worker found the body of 41-year-old Mark A. Huber of Goshen on Friday morning during a routine weekly maintenance check in the Kingsbury Fish and Wildlife Area in LaPorte. An autopsy Monday determined Huber died from a gunshot wound to the head. Irvin was charged Monday evening. 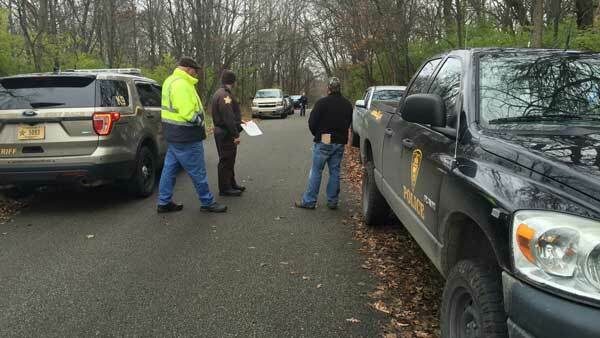 Investigators say Huber was killed in Goshen and his body was moved to the wildlife area.